> Books > Leveled Books > Level C > What Can We Draw? 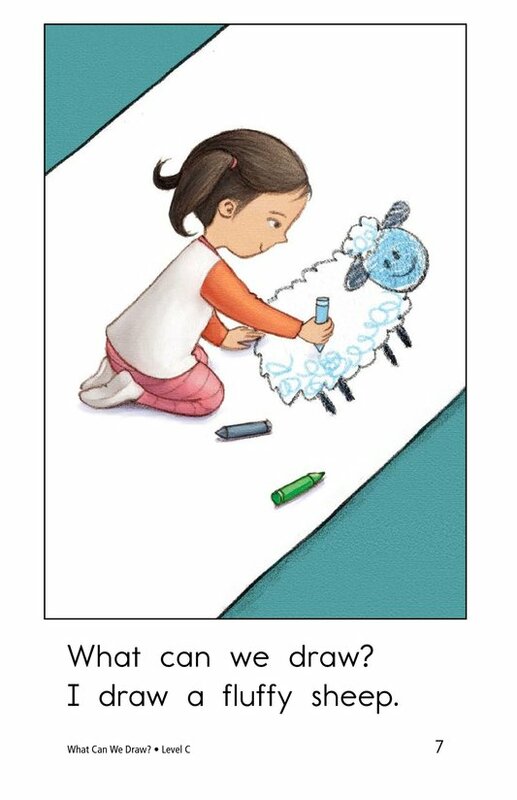 What kinds of things do you like to draw? 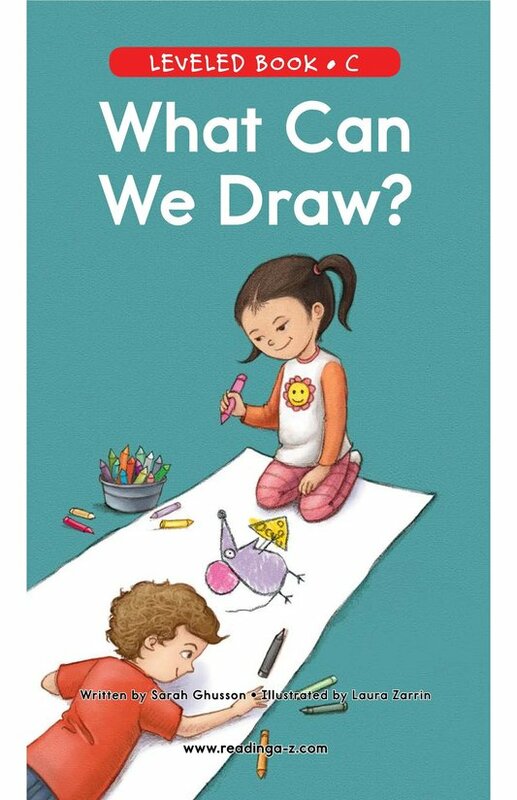 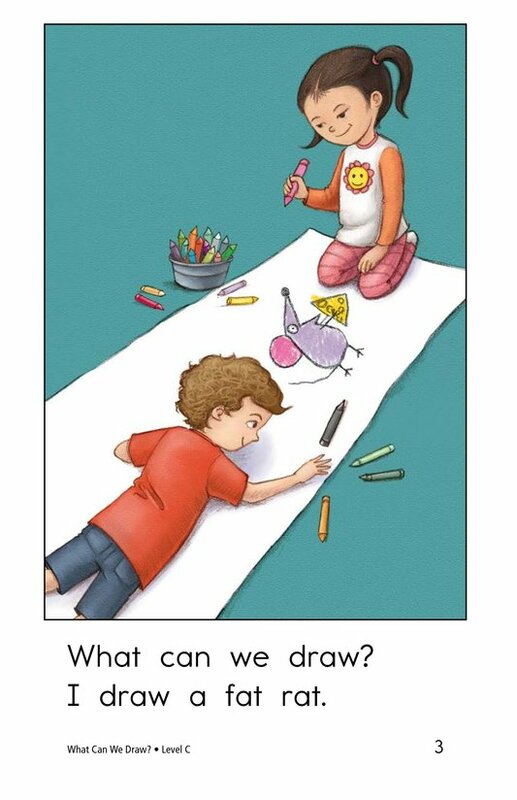 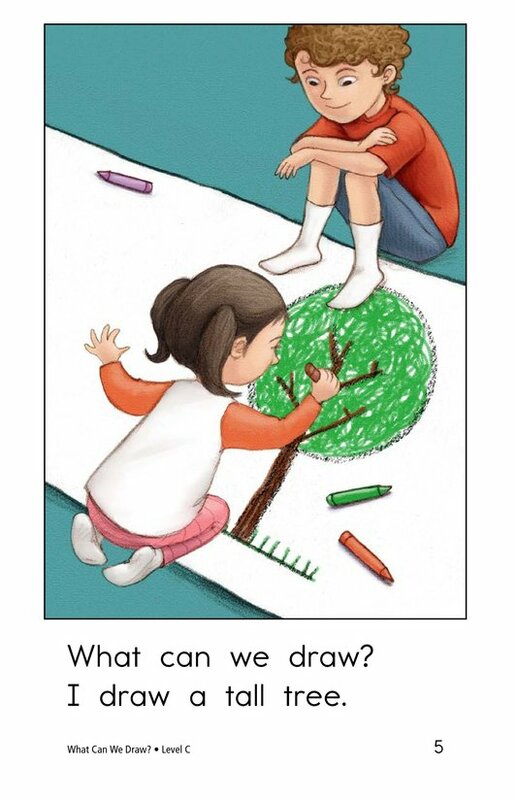 In What Can We Draw? 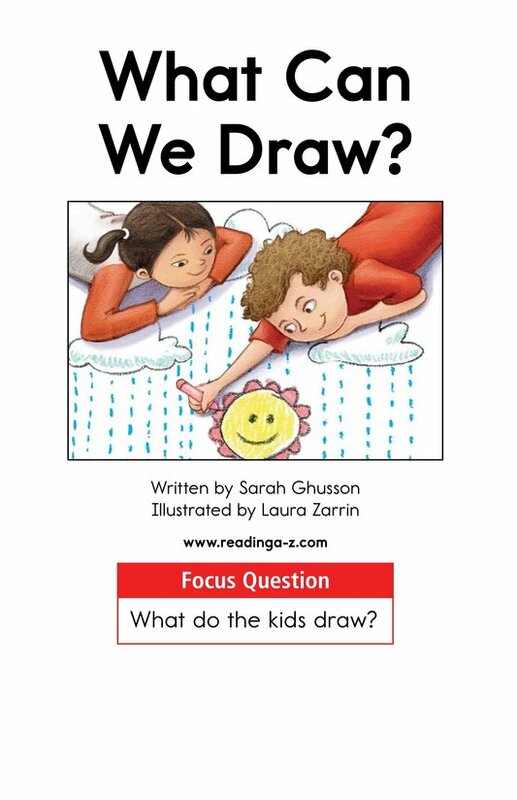 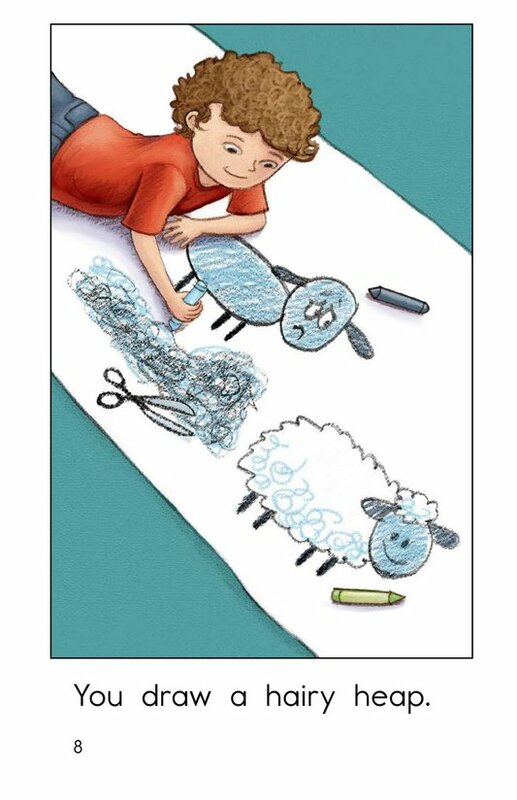 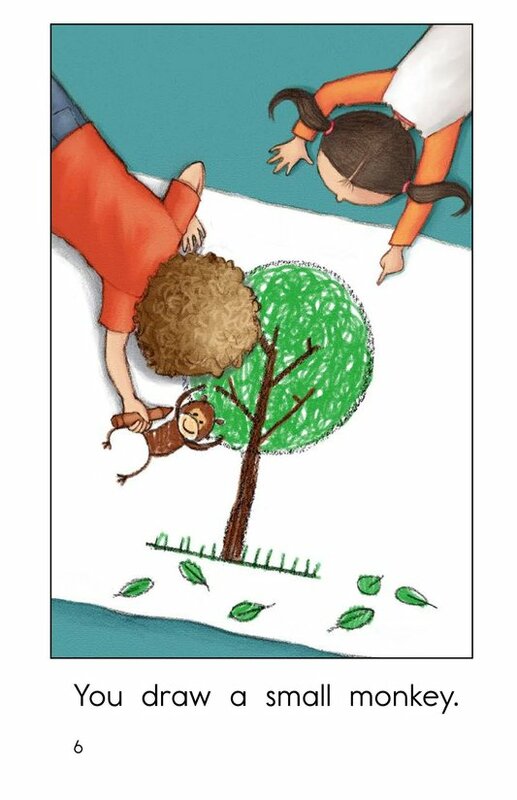 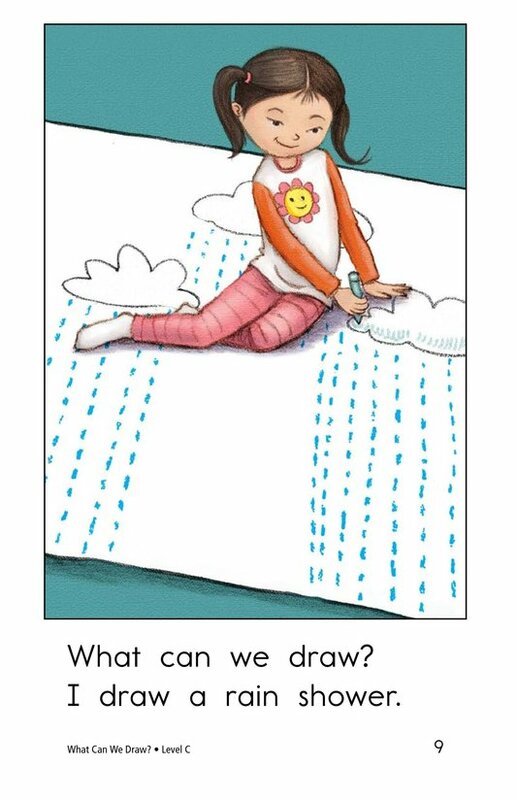 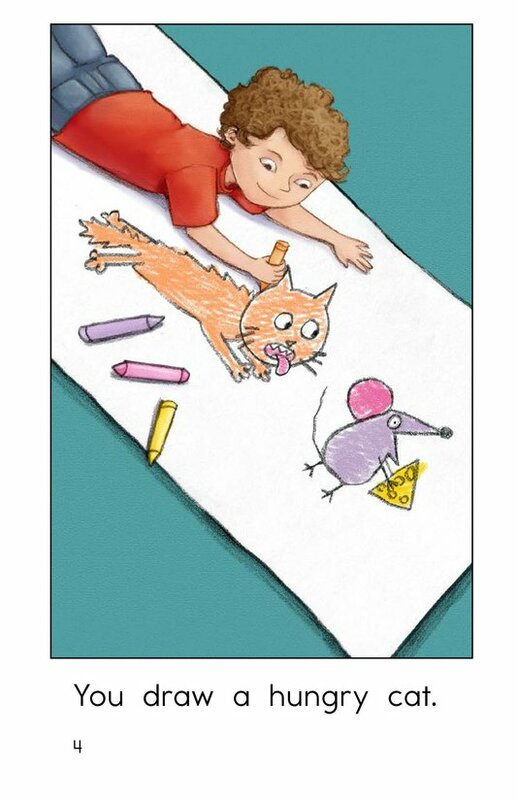 students will enjoy seeing how drawing can be an interactive activity. 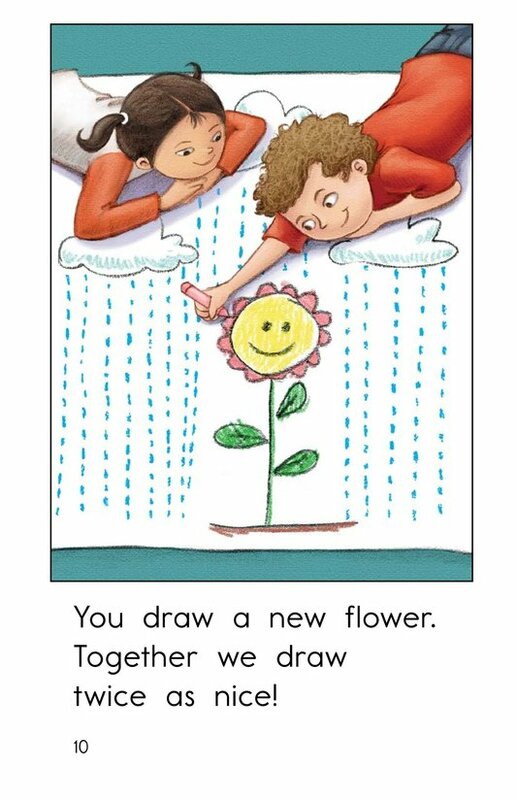 The high-frequency words, repetitive and rhyming text, and colorful illustrations are ideal for early emergent readers. 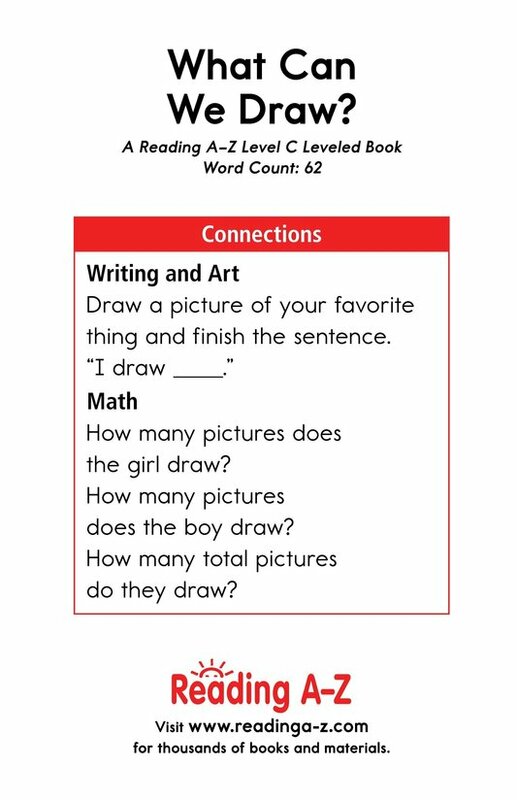 The book can also be used to teach students how to identify characters as well as to use sentence capitalization and punctuation correctly.